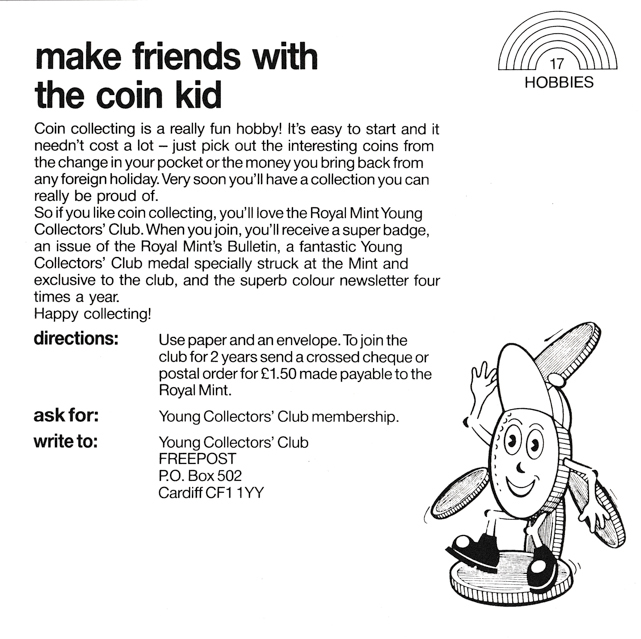 Letters-Free Stuff for Kids- No.4 Make Friends with the Coin Kid. I love coin collecting. I collect them off the street, under supermarket shelves, on grass patches where dogs may have been to the toilet and other lovely places. 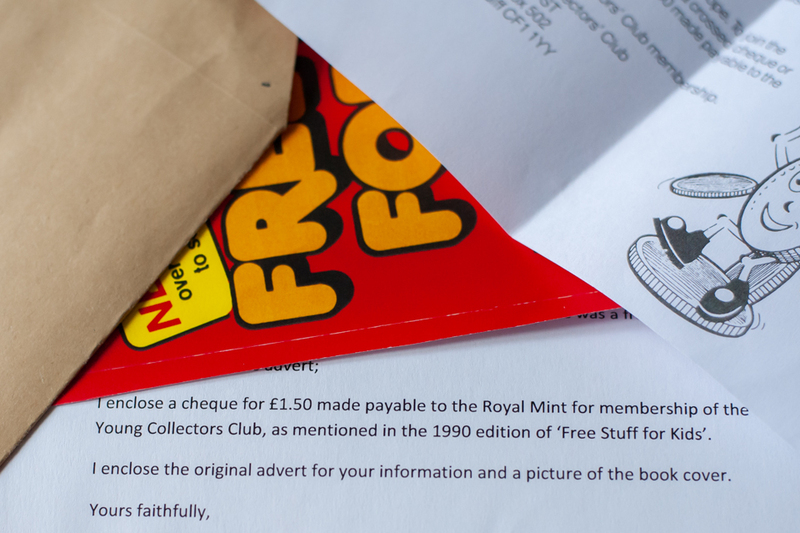 The Royal Mint says that I will love the Royal Mint Young Collectors Club and that I will get a super badge, a bulletin like Moira Stuart used to say, a medal and a colour newsletter four times a year. All this for £1.50! 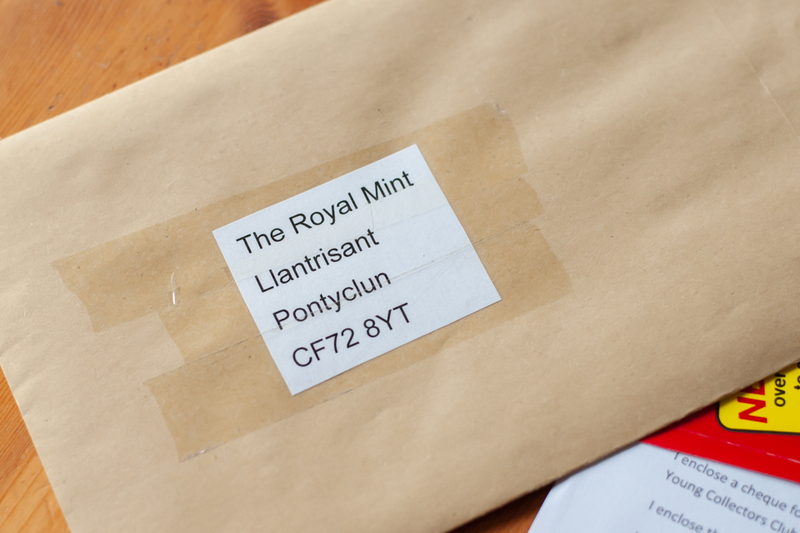 I am under no illusion that this excitement could all come crashing down so I made my checks and have sent the letter to the actual Royal Mint, the top, the big guns, just so they know and we know they know we know.